Made with waterlily to help soothe and calm even the most sensitive of skin. This caring moisturiser is enriched with shea butter and vitamin E to soothe and rejuvenate your skin. 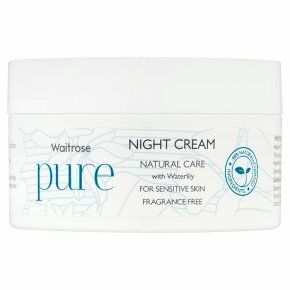 Leaves skin feeling soft and moisturised throughout the night. Dermatologically approved. Suitable for vegans and vegetarians. Paraben free. Suitable for sensitive skin.